From travel recommendations down to law school tips! Robredo answered a wide range of questions, including her favorite film (1994's Love Affair, starring Warren Beatty and Annette Bening), her recently completed TV series (Designated Survivor), and the importance of hard work. She even listed down recommended places to visit in Naga City, where her late husband Jesse Robredo served as mayor. 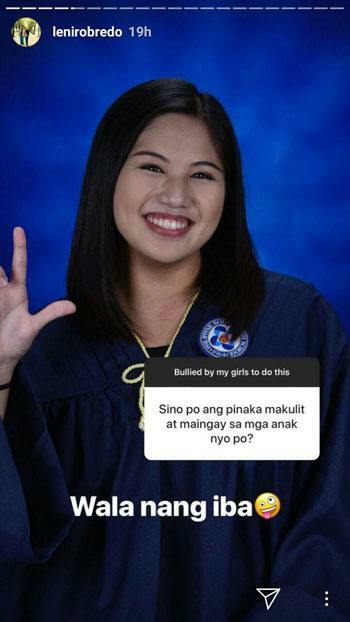 When asked which among her daughters was the noisiest and most rambunctious, VP Robredo replied with a photo of her youngest, Jillian Robredo, along with the caption “wala nang iba.” Jillian made headlines earlier this year for having been accepted into New York University's Biomolecular Science program. A struggling student even asked Robredo for tips on how to survive law school. 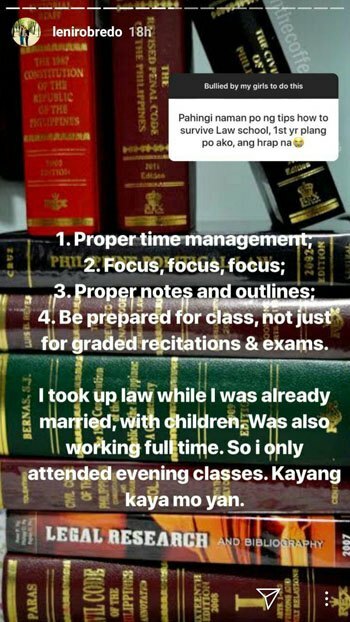 The vice president was kind enough to share her law school hacks (graduated from the University of Nueva Caceres in 1992). 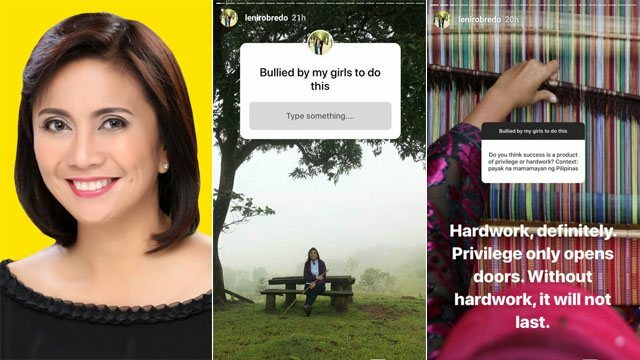 We’re hoping more government officials will host Q&As on their IG Stories—which politician do you want to see answering questions next?